This exquisite English needlpoint reflects the medieval revivalst trend of the Arts and Crafts Movement. 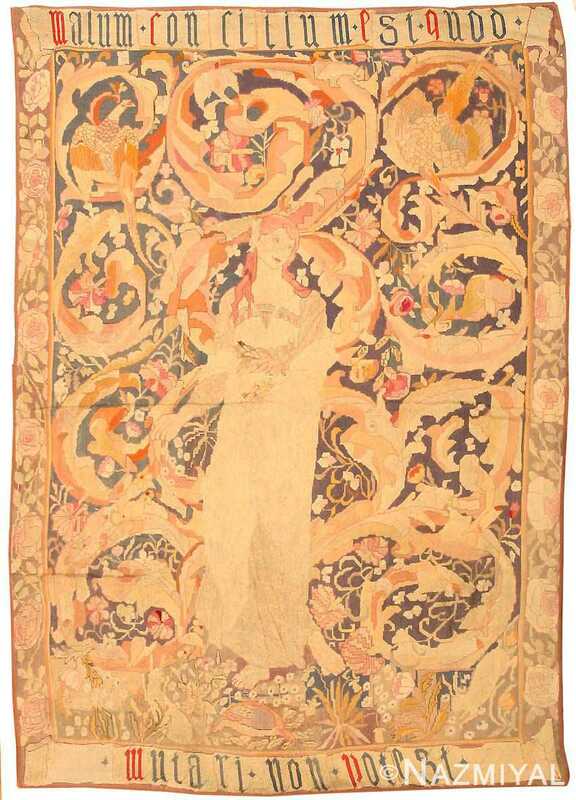 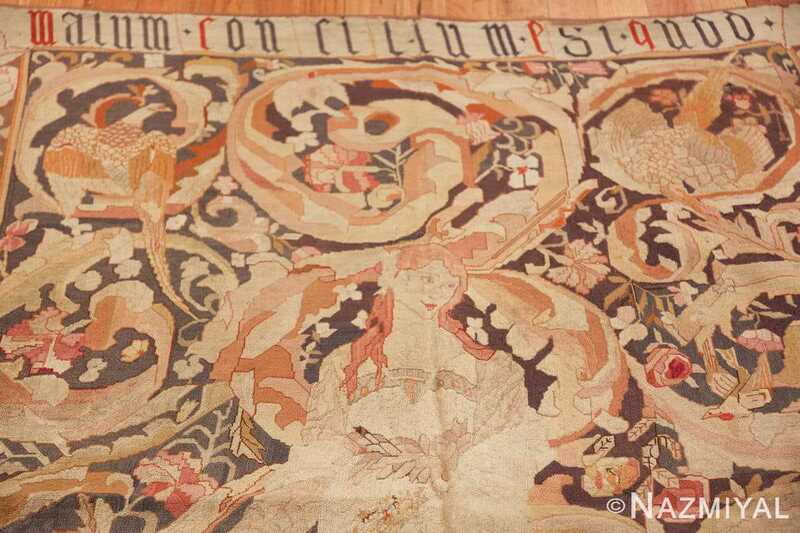 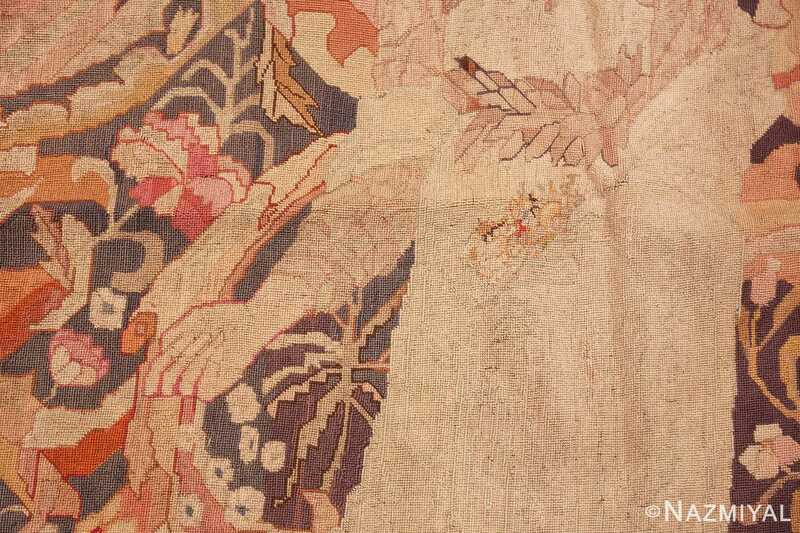 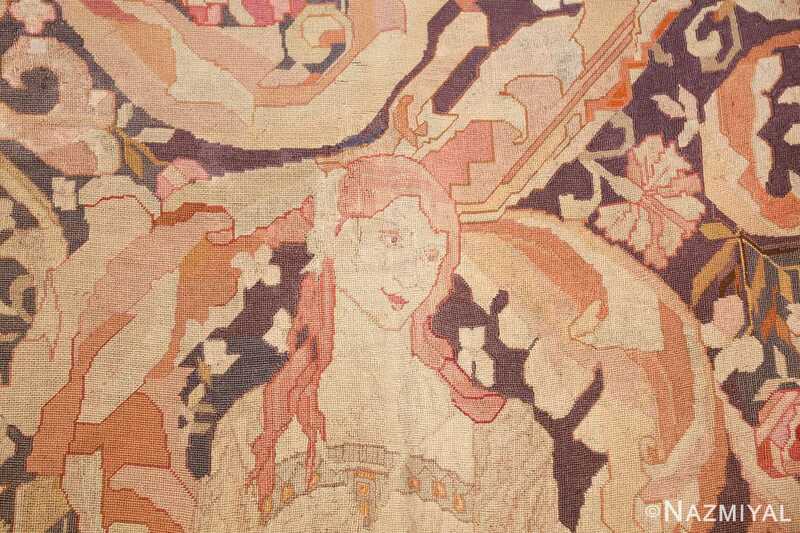 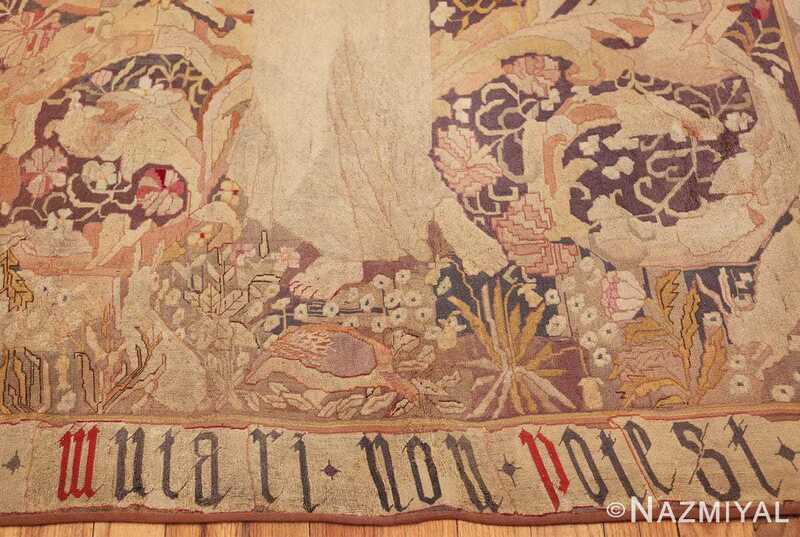 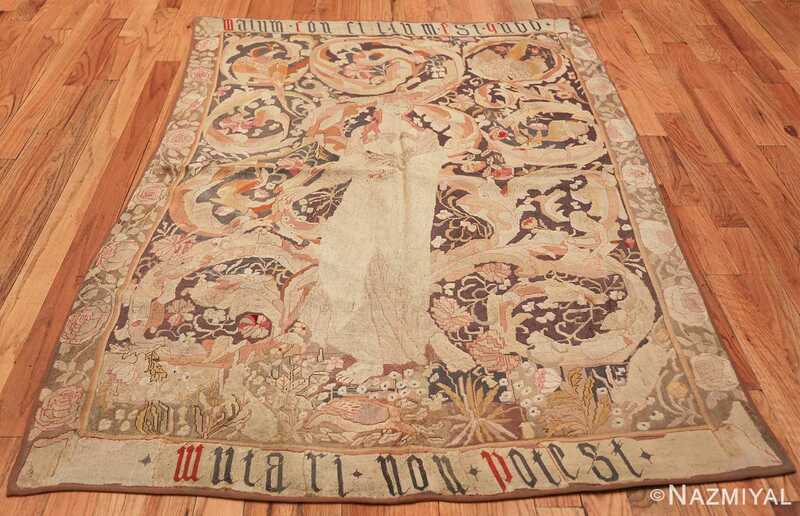 Antique English Needlepoint Rug, Origin: England, Circa: Late 19th Century – An elegant young maiden in a neo-medieval style stands amidst lush stylized vine scrolls replete with birds and flowers on this stunning antique English needlepoint. 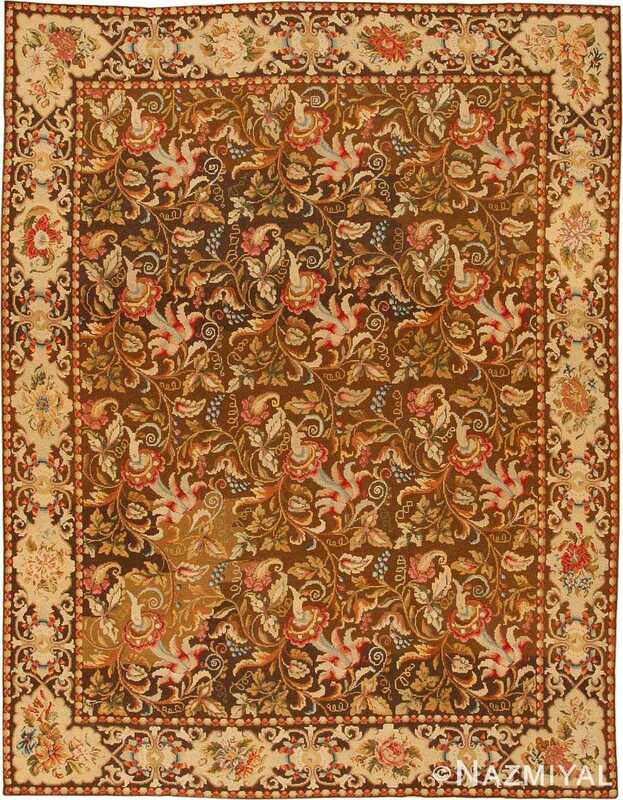 Reminiscent of the Arts and Crafts designs of William Morris and the Pre-Raphaelite painters, the composition harks back to the art of the Middle Ages while looking ahead to Art Nouveau. The Latin inscription of the upper and lower borders in Gothic calligraphy states, ‘Malum concilium est quod mutari non potest,’ ‘It is bad advice that cannot change’. 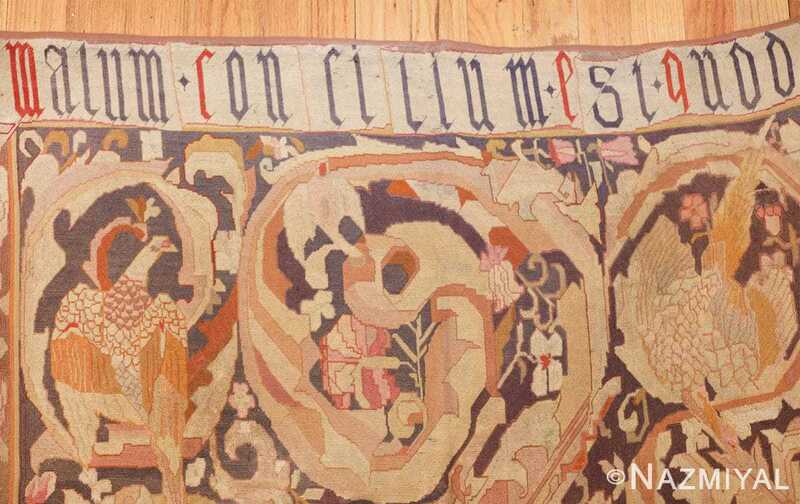 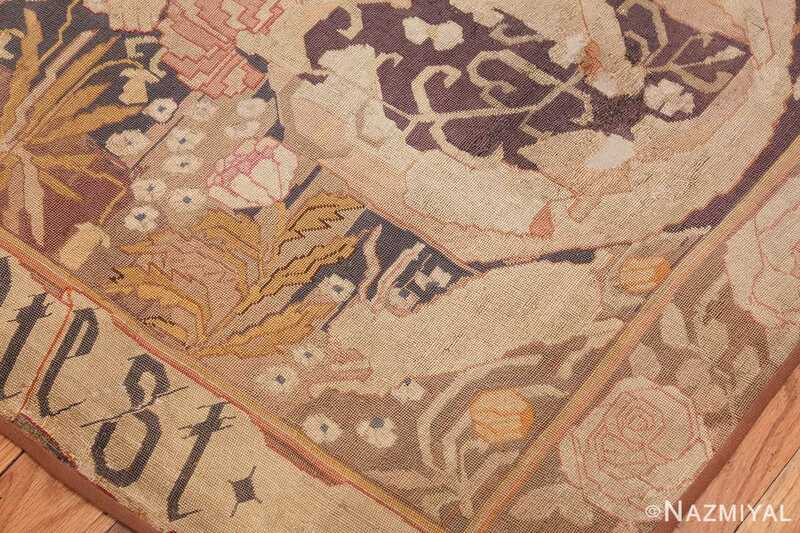 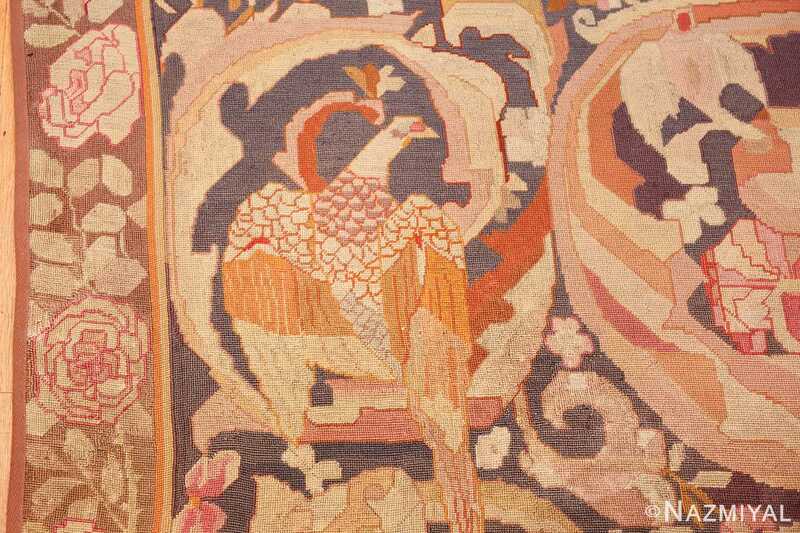 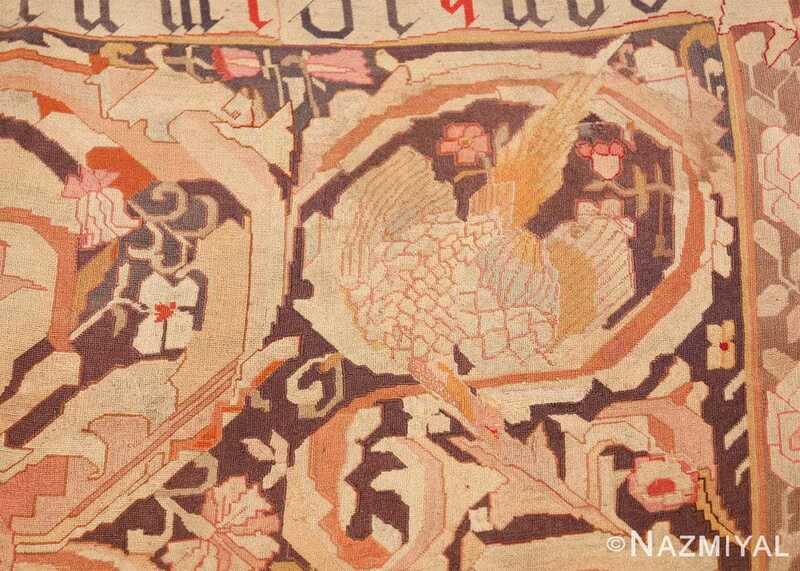 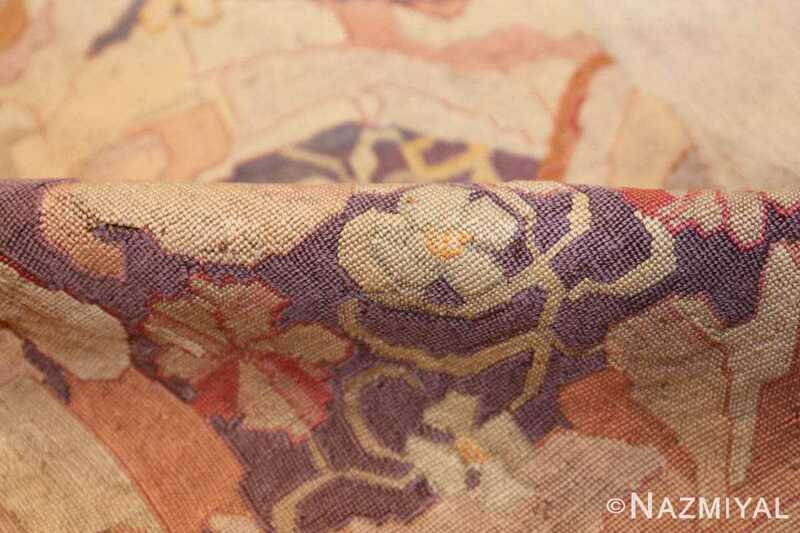 This sumptuous antique Austrian needlepoint rug is closely related to French Aubusson designs. 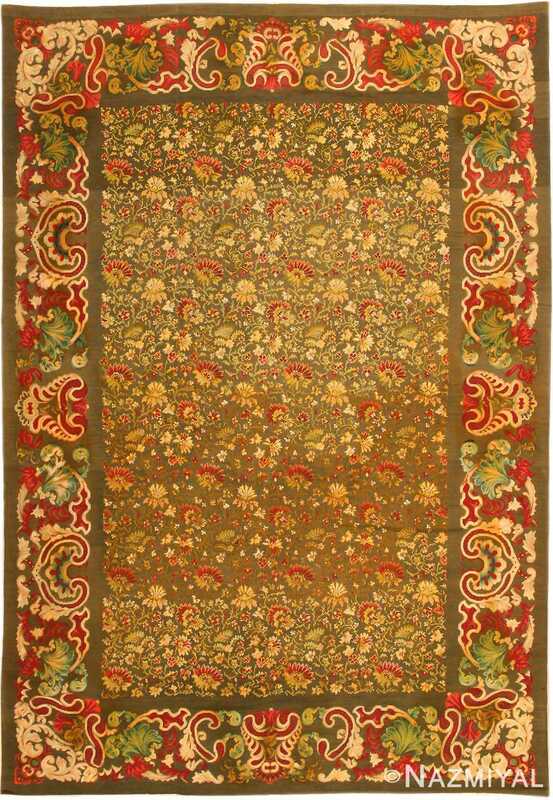 Bordered by European bouquets set in ogival cartouches, this English needlepoint rug represents a classic combination of east and west. 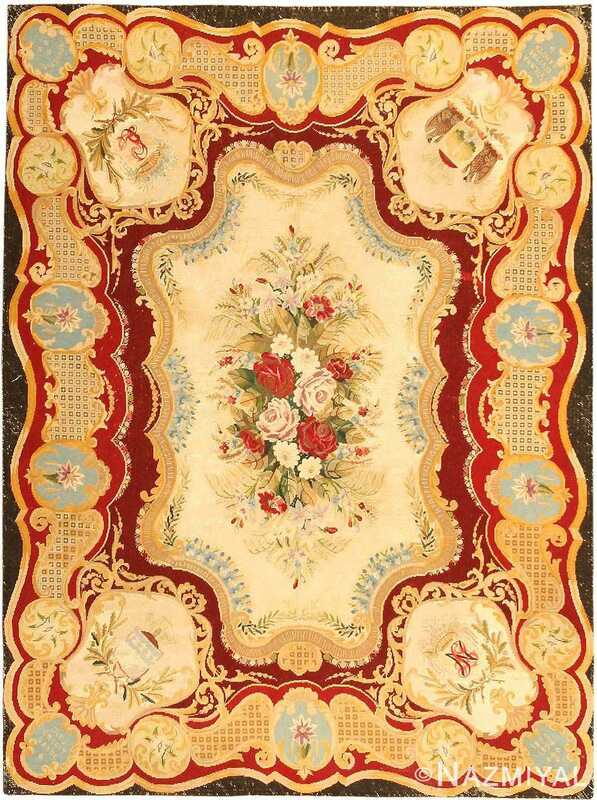 This extremely elegant antique Ukrainian needlepoint derives from Rococo and Aubusson tapestry designs.